Reach new horizons with the versatility and contemporary design features of the new A405. Let light fill the boat with the new bonded window system, saloon skylights and panoramic transom window. Signature extended aft platform and aft step. Relax in the bespoke interior redesign offering innovative storage solutions and space to enjoy. New wood finished include wenge and zebrano duo-wood and walnut. Cosy all year round with the new and improve 9Kw wet heating system and internal insulation to ensure you’re cosy all year round. 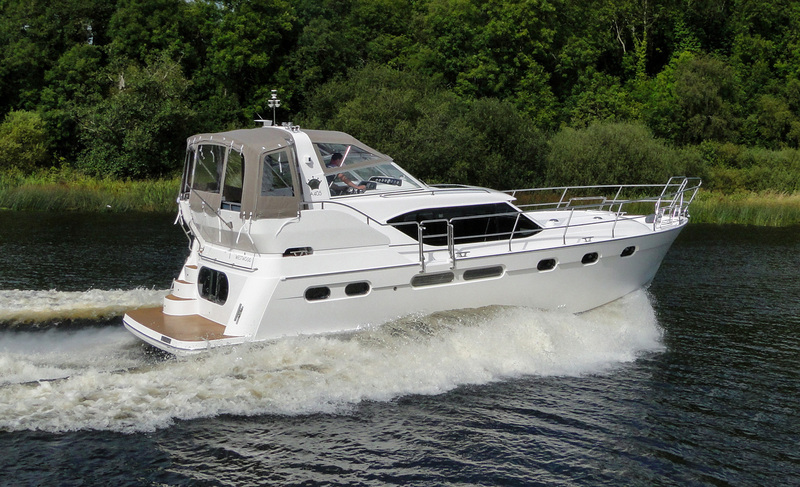 Quick release canopy to optimise your enjoyment aft deck. 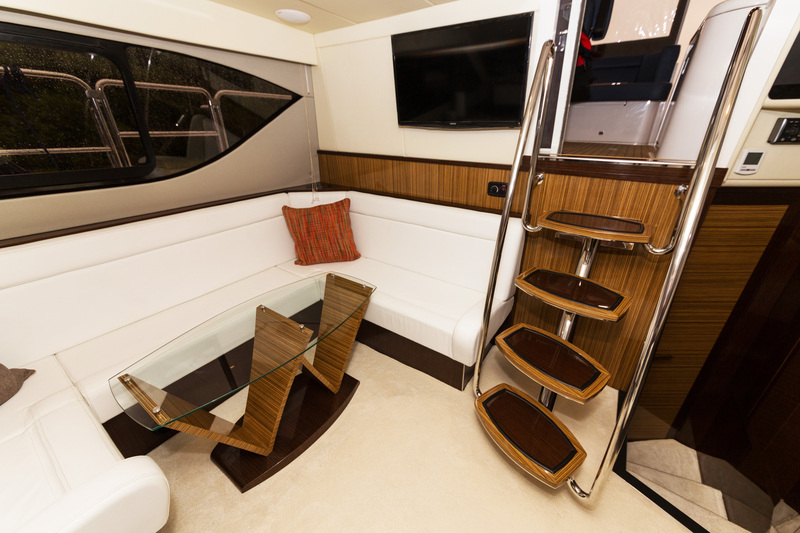 LED lighting throughout the boat, along with mood lighting to highlight the new interior. Our interior has been created by interior design specialists to give a luxurious look, without compromising comfort or practicality. 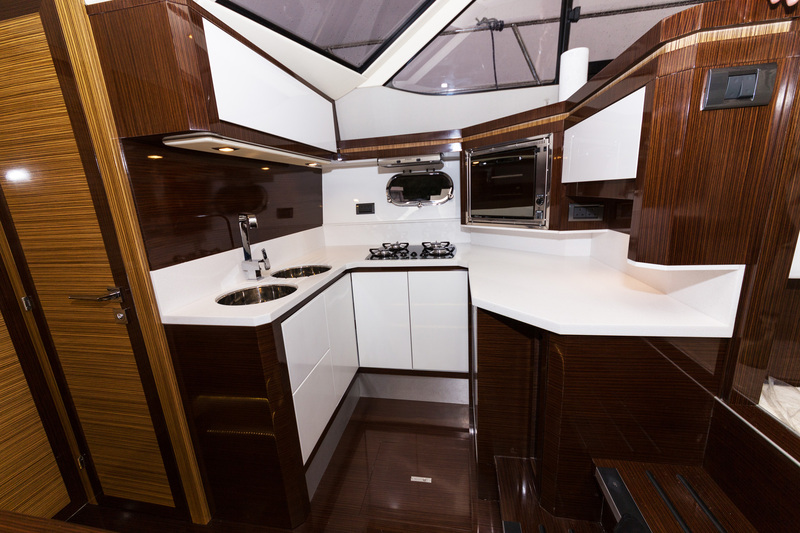 The dinette layout gives great living space away from the saloon and is complimented by our white gloss galley for stylish dining.